A quick view of the most influential metrics in South Lyon Michigan. Here you will find information about South Lyon Michigan Real Estate: Situated in the southwestern part of Oakland County in Michigan, South Lyon City is known for its historic downtown and annual festivities. South Lyon is adjacent to the Interstate 96 and US 23 crossroads. The city is also just less than an hour of drive away from Lansing, the capital of Michigan. Detroit is also nearby with only 45 miles to the east. As of 2013, the US Census Bureau has recorded 11,626 residents in South Lyon. Start your search here if you are looking for Homes for sale in South Lyon MI. 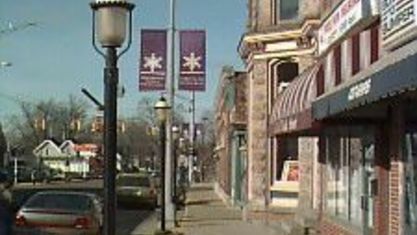 Established as a city in 1930, South Lyon was originally an agricultural center. It was built around a couple of railroads. Since then, the city progressively became a center for manufacturing, thanks to its 70 acres of light industrial properties. Real Estate in South Lyon MI may be small compared to its other neighboring cities, but it’s a small city that packs quite a punch. Its racial demographic is diverse as well as its cultural and social programs. 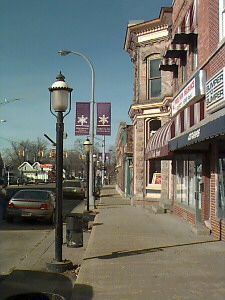 Residents of South Lyon are predominantly Caucasian, but any ethnicity is welcomed in this charming city. In fact, the South Lyon Michigan real estate industry often receives housing inquiries from Asians and Pacific Islanders. The city is attractive to families who have children. South Lyon offers a number of schools for students of all ages. The South Lyon Community Schools is around 88 square miles big. It includes parts of three counties – Oakland, Washtenaw and the Livingston – and parts of three area codes – 248, 734 and 810. Back in the day, South Lyon only offered a single-room learning center. Today, the city’s school district is comprised of two high schools, two middle schools, and seven elementary schools. The city also boasts of a multi-awarded school/municipality project. This project is a first in the Michigan. Facilities such as parking spaces, auditoriums, lobbies, and conference rooms are being shared by the two government bodies – the schools and municipality. This project is great for families as the parents can find work at the local government while the kids go to any of the South Lyon schools of their choice. If you are in search of homes for sale in South Lyon MI you can find great deals for properties in the area, why you would want to live in South Lyon. Annual festivals are a big thing for the residents of South Lyon. For those who are relocating to this city, Pumpkinfest is something to look forward to. It is, by far, the largest yearly event in South Lyon. It traditionally takes place during September, at the month’s last weekend. The festivity includes games for children, a 5K road race/run, and a carnival full of rides and food. And of course, a variety of shows and programs that showcase pumpkins. For those who are yearning for a city with a small-town vibe and a great, closely-knit community, South Lyon is a wonderful place to settle and live in. The South Lyon Michigan homes for sale typically include duplexes, apartments, townhouses, and occasional condo units. These types of homes are also available for rent/lease. For more information about South Lyon MI real estate, contact a local agent. View our selection of available properties in the South Lyon Michigan area. Check out the latest demographic information available for South Lyon Michigan. Get to know South Lyon Michigan better with our featured images and videos. Learn more about schools near South Lyon Michigan complete with ratings and contact information. Browse through the top rated businesses in the most popular categories South Lyon Michigan has to offer.